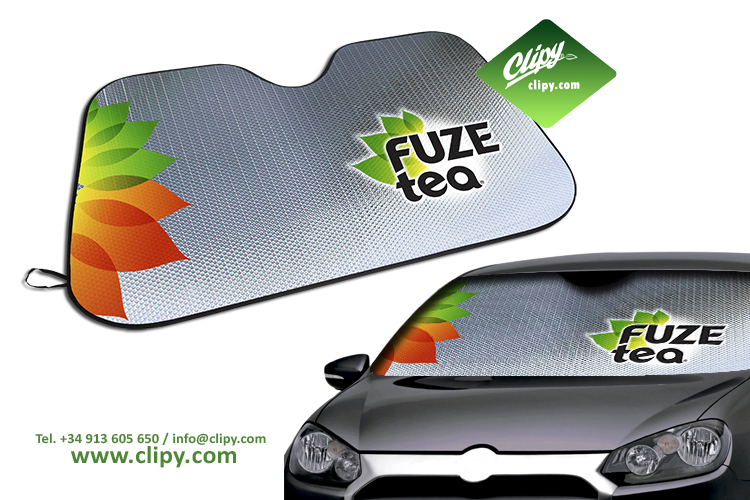 A Clipy sunshade (130×70 cm). Made of aluminum bubble wrap on both sides and covered with a metallic foil sheet with non-woven ribbon. Two printing techniques (Flexography (photo impression available) and Silkscreen). Elastic band for easy folding and the possibility of adding 2 elastics bands for placing it outside the car in winter. Also available for vans and trucks.